While the world waiting for official White Nexus 4 launch, some Indian retail stores already got White Nexus 4 in their stock. 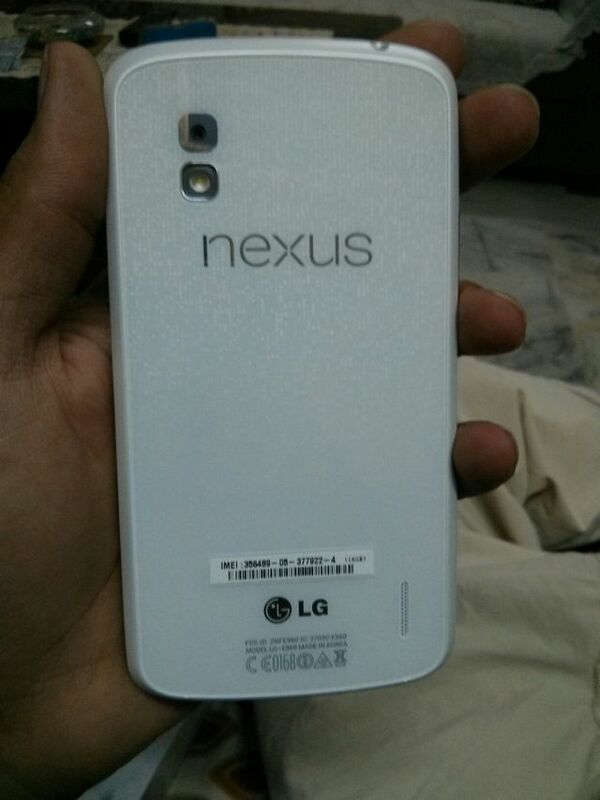 Many retailers and users confirmed that White Nexus 4 is available for sale and few users already got the phone. Users on XDA confirmed that they got White Nexus 4. The phone is still running the latest Android 4.2.2 Jelly Bean. XDA User Harshit bought the phone from stores in Delhi. LG Nexus 4 launched in India for ₹ 25,999. Specs and Price is same as black version. Just if you prefer White phone, please contact your nearest retail stores about the white version. The LG Nexus 4 has 1.5 GHz Quad-Core Krait Quad-Core Processor, 4.7-inch True HD IPS Plus display with 1280 x 768 resolution, 2 GB RAM, 8 MP Rear and 1.3 MP HD front cameras. Nexus 4 comes with 8 GB and 16 GB memory. The device currently running on Android 4.2.2 Jelly Bean.